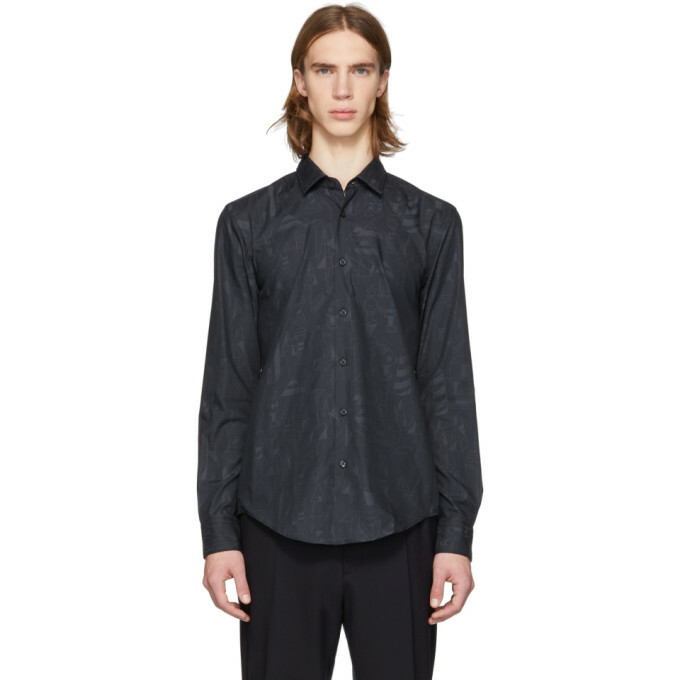 Boss Black Jeremyville Edition Ronni Shirt $210.00 Long sleeve cotton poplin shirt featuring graphic pattern in tones of black throughout. Spread collar. Button closure at front. Adjustable single button barrel cuffs. Logo flag at side seam. Tonal stitching. Part of the Boss x Jeremyville collaboration.